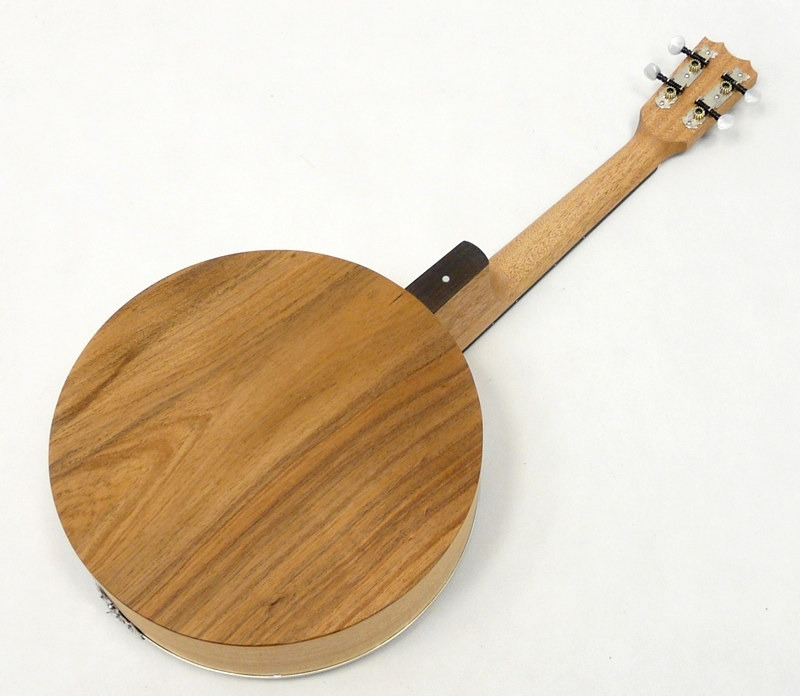 This instrument is the Portuguese banjo and comes in different sizes and with a different number of strings (often with different names, like viola banjo / banjolim / banjola / banjo de acordes / banjo trompete. 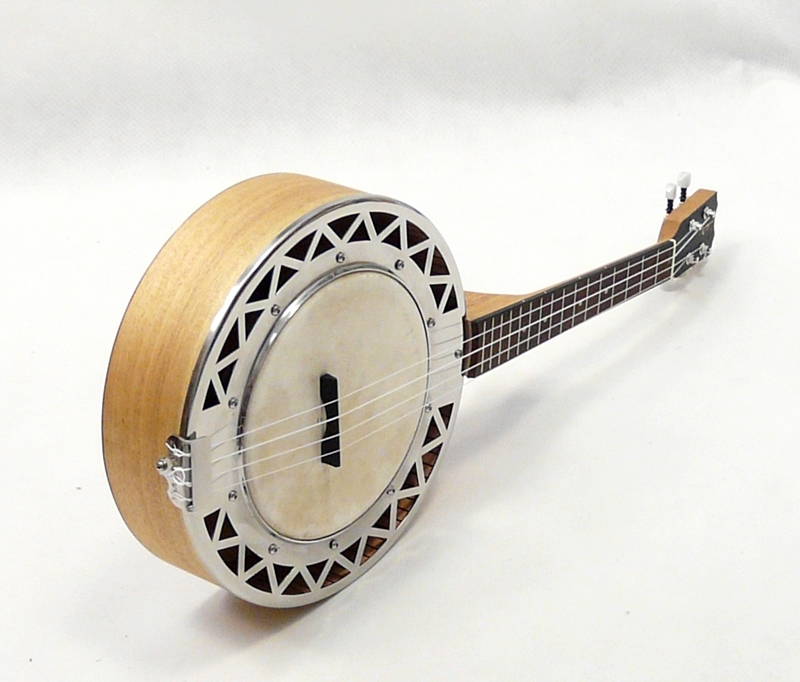 There are banjos of cavaquinho-size with 4 single strings; a larger one with 4 single strings is a kind of tenor banjo : (banjo de acordes). 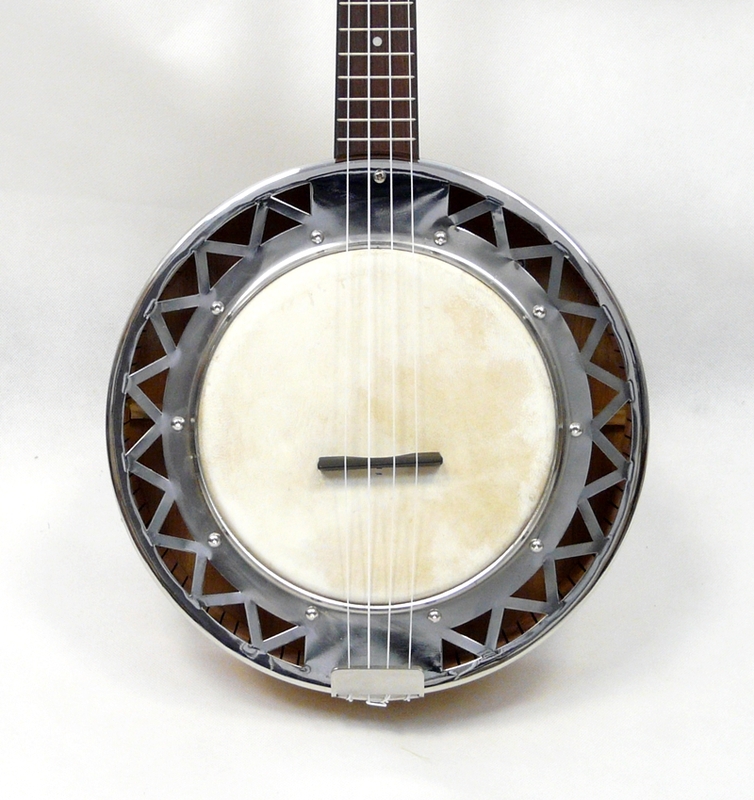 With 4 double strings and the size of a mandolin : the banjolim; a larger one with 4 double strings, the size of a mandola : the banjola. 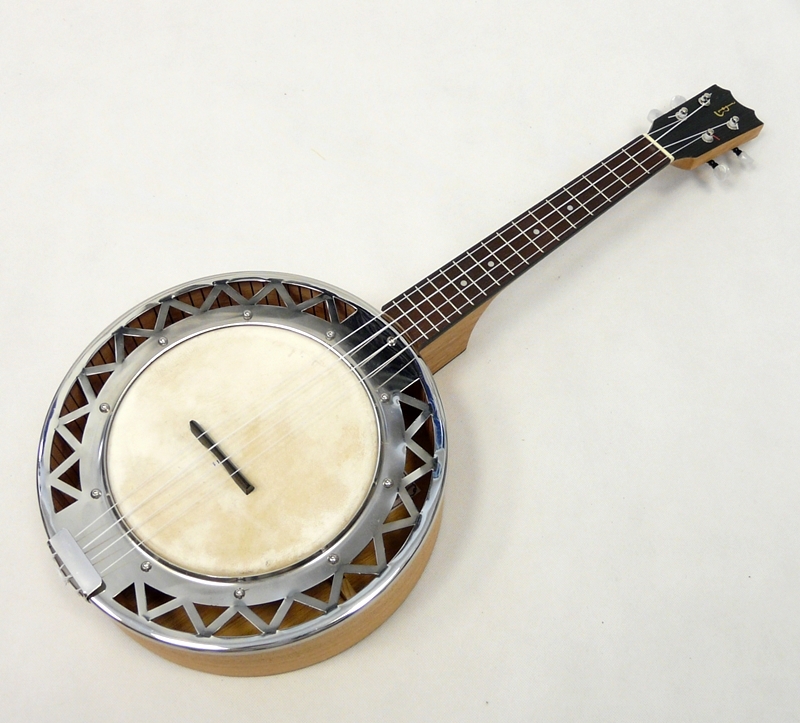 With 6 strings as a guitar-like banjo : the viola banjo. 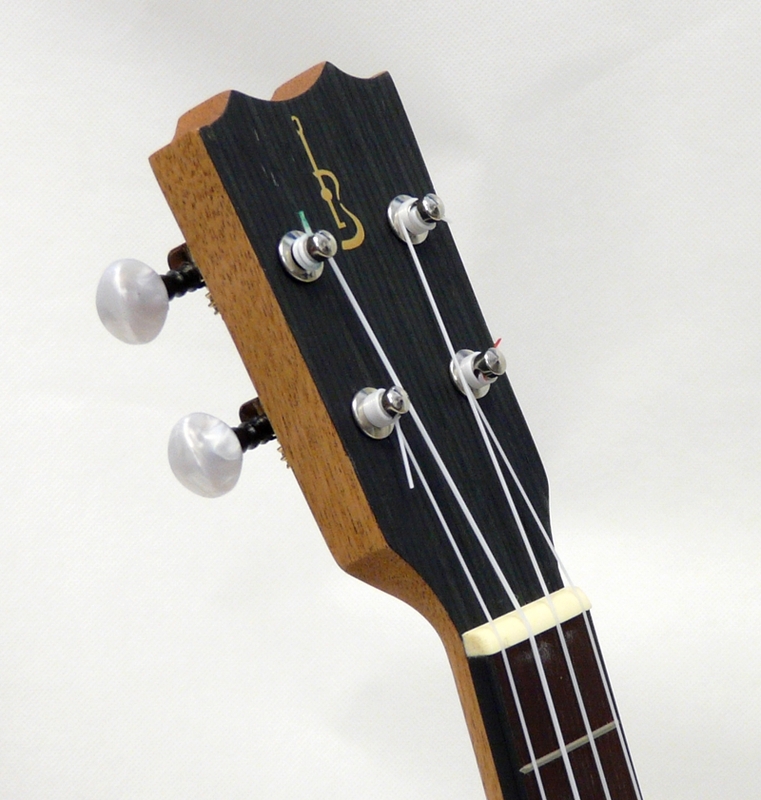 They are all used for folk music. 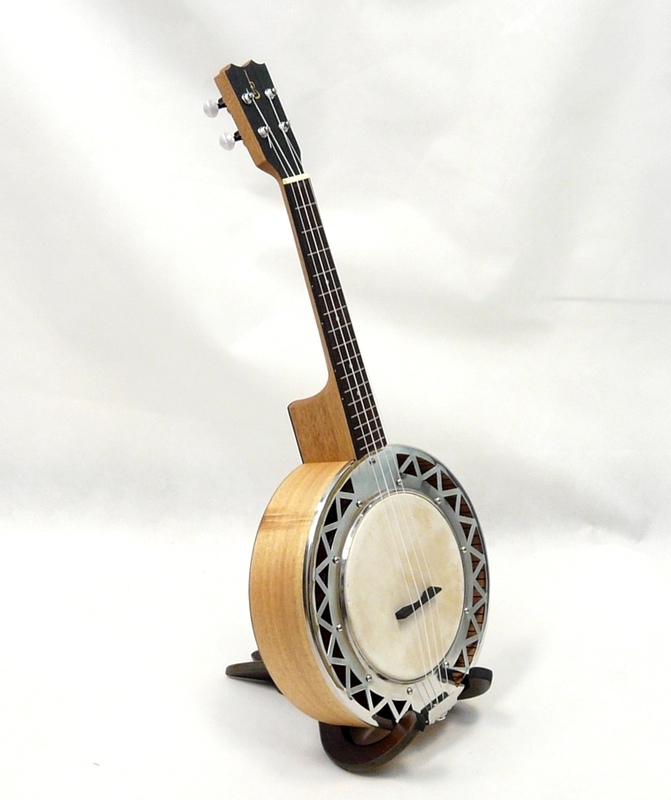 Usually the body of these banjo's is made of a round wooden box (side and back), in which the "drum" with the metal rim and the skin front, are fixed with a screw. 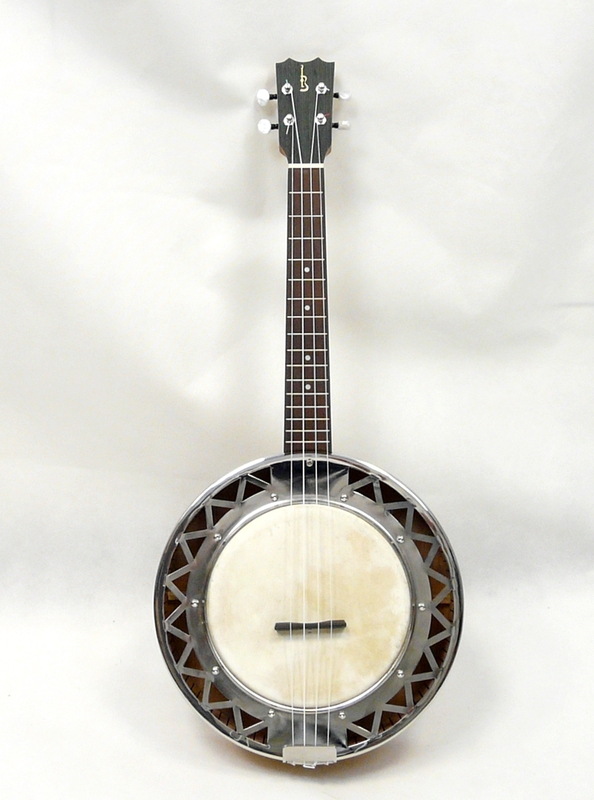 The body of the banjo trompete (which is about the same size as the banjolim,) is made of metal (front and side together), with a wooden back.